NEW EMUs for the Merseyrail network are to be provided by Stadler. 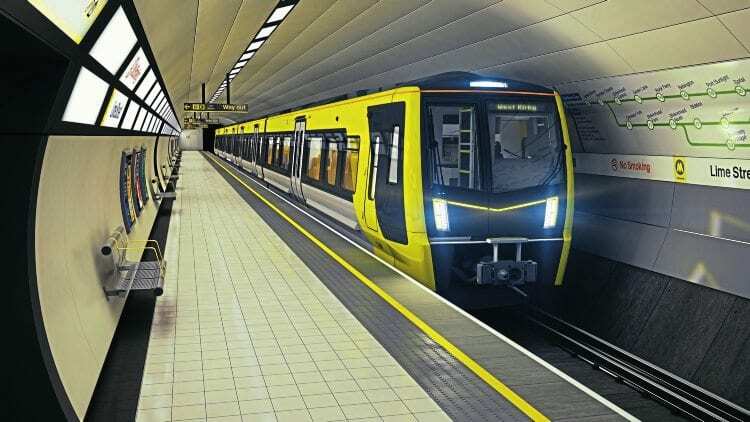 An artist’s impression of the new Merseyrail trains. The Swiss-based manufacturer has won the battle to provide 52 four-car trains for entry into full service from the end of 2020, replacing the 59 Class 507 and 508 units, which reach their 40th anniversary in 2018. Stadler beat off competition from Bombardier, CAF, Siemens and East Japan Railway’s rolling stock manufacturer J-TREC, working with Alstom and Mitsui. Although the sets are four-car units, they will be four metres longer than the current trains, have the same number of seats, but a much greater standing capacity, along with additional occasional space. Projected capacity, including standees, is 486, up from 303.